A dermoid cyst is a pocket or cavity under the skin that contains tissues that are normally found in the outer layers of skin. This pocket forms a mass that may be visible at the time of birth but sometimes does not become obvious until years later. While dermoid cysts are typically located on the head, face or neck, they can be anywhere on the body. These are typically found in the scalp, nose and eyebrow of young children. Intracranial (skull) or perispinal (base of the spine) dermoid cysts are most often found in infants, children and young adolescents. A dermoid cyst is lined with epithelium containing cells and tissues including hair follicles, teeth, sebaceous (skin oils) and sweat glands. Because these tissues continue to secrete their normal substances inside the cell, the cyst will increase in size over time. Because they grow, sometimes causing an inflammatory reaction or becoming infected when they rupture, treatment is sought for dermoid cysts. Dr. Nicholas Bastidas, a specialist in plastic surgery for children and adults, is an excellent provider of treatment to people with dermoid cysts. Dr. Bastidas has a long history of caring for patients with dermoid cysts and delivering satisfactory results to them. 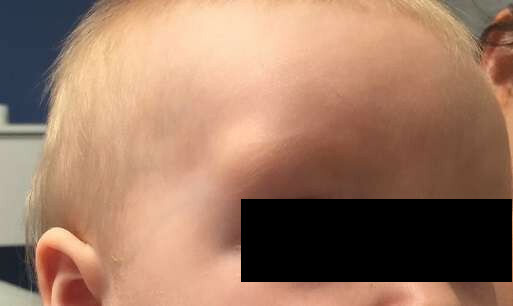 For babies with a dermoid cyst presentation at birth or shortly thereafter, Dr. Bastidas believes that the ideal age for removal is six months, the age when elective surgery is considered optimally safe. Dr. Bastidas will review his patient's medical history and examine the patient to confirm the presence of a dermoid cyst. A dermoid cyst will easily move under finger pressure and Dr. Bastidas will determine whether or not a dermoid cyst is connected to other tissues in the head or neck. Cysts near the nose or eye may have an extension to within the skull. 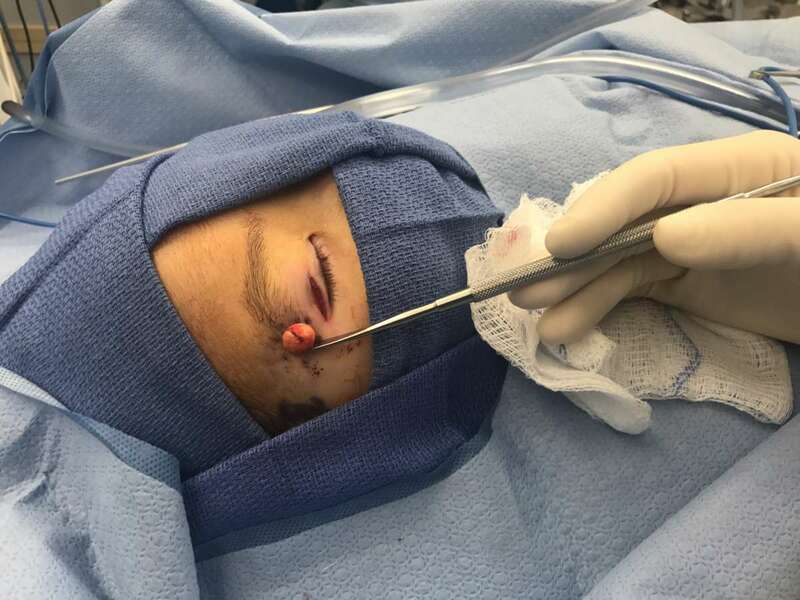 If there is any connectivity, Dr. Bastidas may order a CAT scan or MRI, diagnostic tools that help to determine the depth or reach of this dermoid cyst connectivity. Dr. Bastidas is able to remove most dermoid cysts at one of his offices, a convenience appreciated by his patients. He will inject a local anesthetic to avoid any sense of pain for his patients. As a plastic surgeon, Dr. Bastidas will perform a direct incision leaving only a thin scar. Dr. Bastidas, depending upon the location of a dermoid cyst, is able to do “stealth” incisions in the hairline or in the upper eyelid crease, camouflaging any surgical scars. Any swelling usually resolves itself in one to two weeks. Recovery is quick for both children and adults, with most of Dr. Bastidas' patients returning to their normal routine the day after surgery. If you or your child is dealing with a dermoid cyst, you will find that Dr. Nicholas Bastidas' websites at www.DrBastidas.com or www.ippcs.org have a great deal of information that will help you to understand dermoid cysts and treatment. Under most circumstances, the removal of a dermoid cyst does not result from an emergency, but if the dermoid cyst becomes inflamed, causes pain or fever, or ruptures, immediate care should be sought. The team at Dr. Bastidas' offices is eager to help you understand this dermoid cysts and solutions. Dr. Bastidas is widely renowned for his safe, excellent quality plastic surgery procedures resulting in great outcomes for both pediatric and adult patients.